It’s a Colorado rite of passage to climb one of the state’s 14ers—peaks that top out above 14,000 feet and offer a taste of what’s it like to scamper in the heavens. The state has between 53 and 58 of them, depending on how you count, with ascents that range from hikes of just a few miles to technical routes that requires ropes and rock climbing prowess. 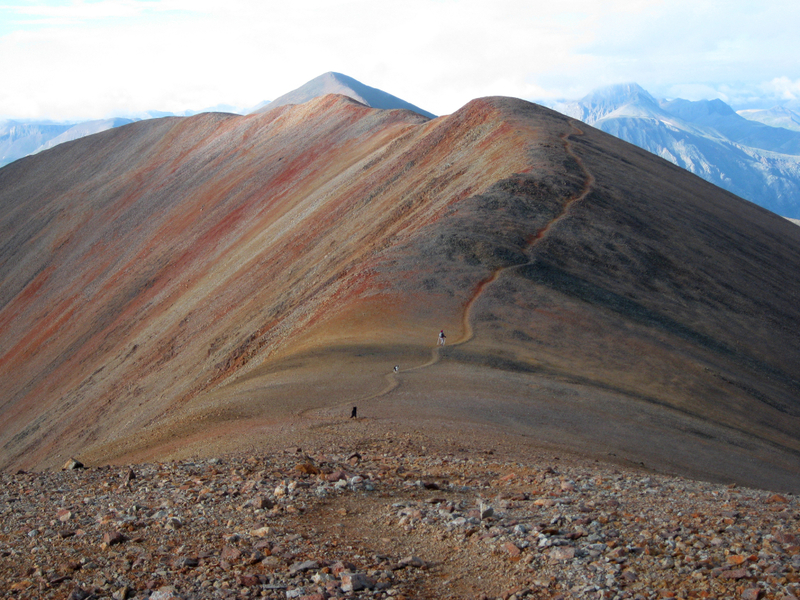 For first-timers, tackling a high summit might seem daunting. But it’s completely within reach, and well worth the effort to earn a sweet feeling of accomplishment and take in the grand scale of our beautiful state. 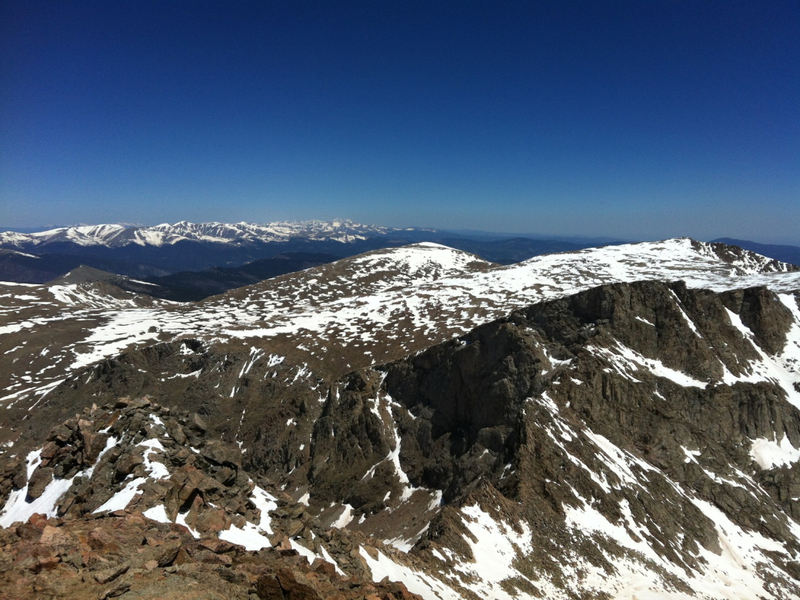 If you want to set your sights on a 14er this summer, start planning now so you’re in shape once snow in the high country melts, usually by late June or early July. Boulder has a bevy of trails in its backyard, so you can easily devise a hiking progression to get primed for a high peak. You’ll want your legs and lungs in tip-top form, of course. And it may come as a surprise that your core needs to be strong, too. This means doing exercises like sit-ups and planks. Sciolino also recommends practicing carrying a pack with everything you’ll need on summit day. “The loading from a pack comes a lot in your low back, in your core, and your upper back. That can be trained by wearing a pack all the time during your progression,” she says. Throw on your pack and hit the trails, since there’s no better way to get in shape for hiking than hiking. Mount Sanitas is a great place to start. 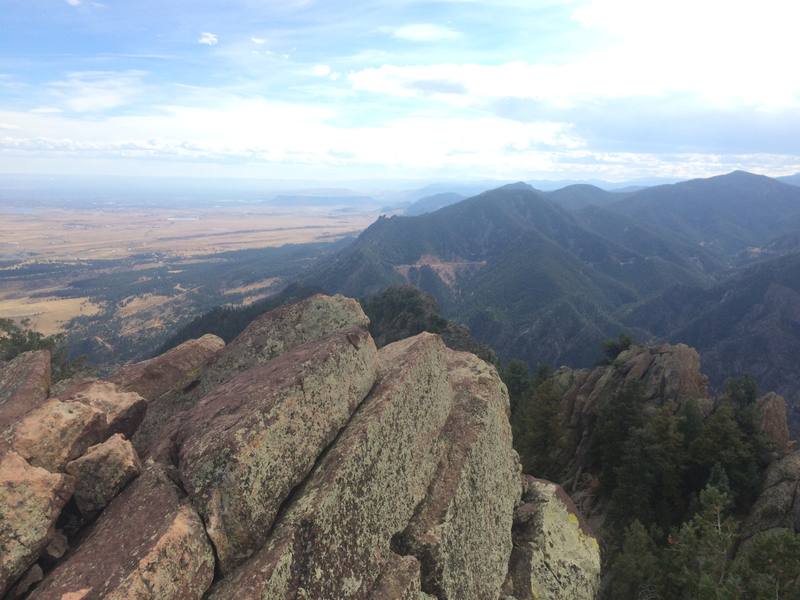 This 6,843-foot peak has several options to get to the top—either a solid burn up the Mount Sanitas Trail from the south, or a more gradual climb via Sanitas Valley and then up the East Ridge Trail. Either way, it will help get you used to hiking while huffing. Green Mountain is a good next goal, offering a bit more challenge as you climb up to 8,144 feet. Again you have options for how to approach, starting from the wickedly steep Amphitheater Trail or the more gradual Gregory Canyon Trail. Eventually the two paths converge for the final push to the top, where you’ll have commanding views of Colorado’s high mountains to the west and a hint of what’s to come. 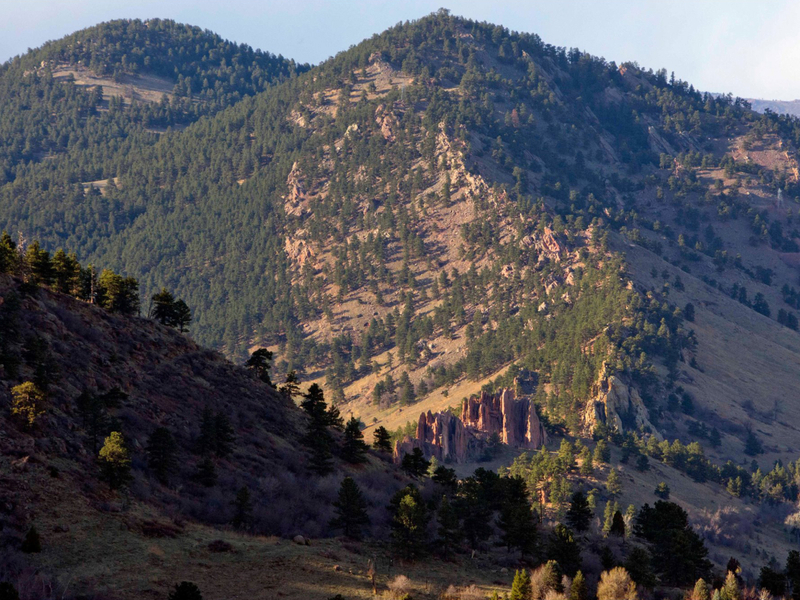 For your next challenge, tackle the two highest peaks just west of Boulder: Bear Peak, which tops out at 8,461 feet, and its neighbor, 8,459-foot South Boulder Peak. Both are certified grunts with 2,400 to 3,100 feet of elevation gain—great for accustoming your muscles to multiple hours of work. If you’re feeling especially burly, combine Bear and South Boulder Peak in one go, darting between the two via a short saddle. Plan on a solid four to five hours for this double doozy. Once you’ve bagged all of Boulder’s summits, look to higher ground. Give your lungs a taste of altitude by hiking some of the peaks in Indian Peaks Wilderness beyond Brainard Lake. Mount Audubon (13,233 feet), Pawnee Peak (12,943 feet) and Shoshoni Peak (12,967 feet) offer some of the easiest introductions. 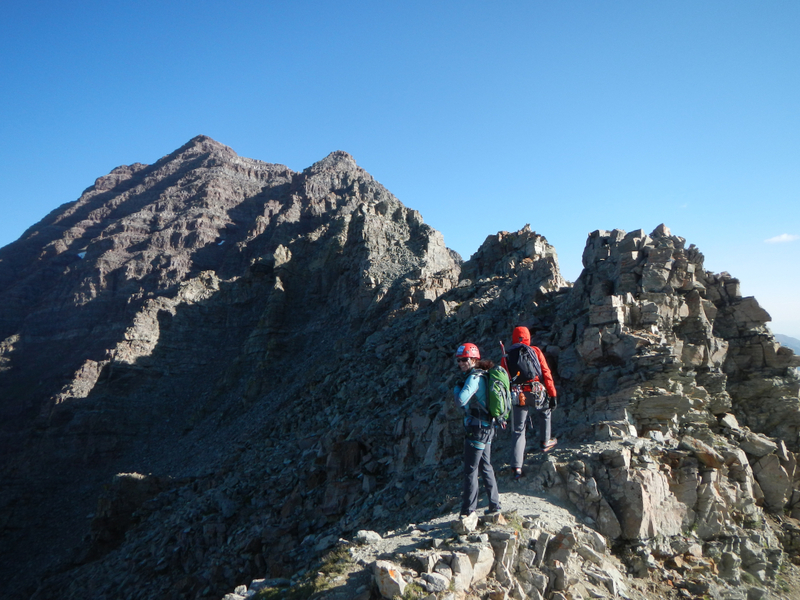 Check out our Insider’s Guide to Brainard Lake Peak Bagging for pro tips. 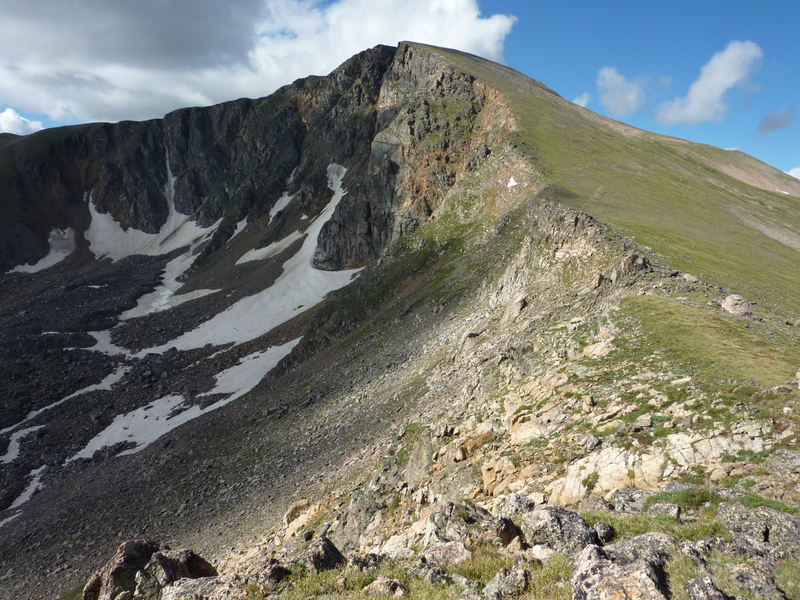 South of Indian Peaks Wilderness, 13,294-foot James Peak is another good one to boost your confidence. You can approach it from several directions, with St. Mary’s Glacier being the most straightforward route. It offers a little bit of everything—hiking up a snowfield, navigating a stretch with little to no trail, and ascending steep switchbacks in thin air above 13,000 feet. In the midst of all this hiking, it would also behoove you to do exercises to improve single leg strength and posture. Weighted step-ups, walking lunges (without and without weights), and split squats will make you a better-oiled hiking machine. Balance and posture affect everything, according to Sciolino. “As soon as your back gets tired, you’re posture starts going. Then you’re crunching down your lungs. And when you get to high altitude it makes it that much more difficult. If you can maintain good posture throughout, the breathing portion is going to be that much easier,” she says. Acclimating to altitude will also help, and the only way to do this is to go to altitude. Hit hikes above 11,000 feet and get used to exerting yourself with less oxygen. Sleeping at altitude the night before your 14er hike will also help. “Any time that you can spend at altitude ahead of the actual climb, the better off you’re going to be,” says Sciolino. Through all this training, wear the same shoes you’ll use on game day so they’re broken in and your legs get used to the weight. “Wearing heavier boots affects the joints—knees and hips. If you’re going to do a 14er that requires big hiking boots, you need to be in them all the time so that your body is used to it,” says Sciolino. When your big day comes, choose an easier 14er for your first. Mount Bierstadt makes a good virgin run, with a short approach from the top of Guanella Pass. If you catch the bug and have a hankering for more, you're in luck: There are dozens of other peaks around the state to bag.